The Architectural Biennale 2018 is titled FREESPACE. The international exhibition explores the essential qualities of architecture, including materiality, modulation of the space, how it influences movement and emotions of its users, revelling the embodied power and beauty of architecture. 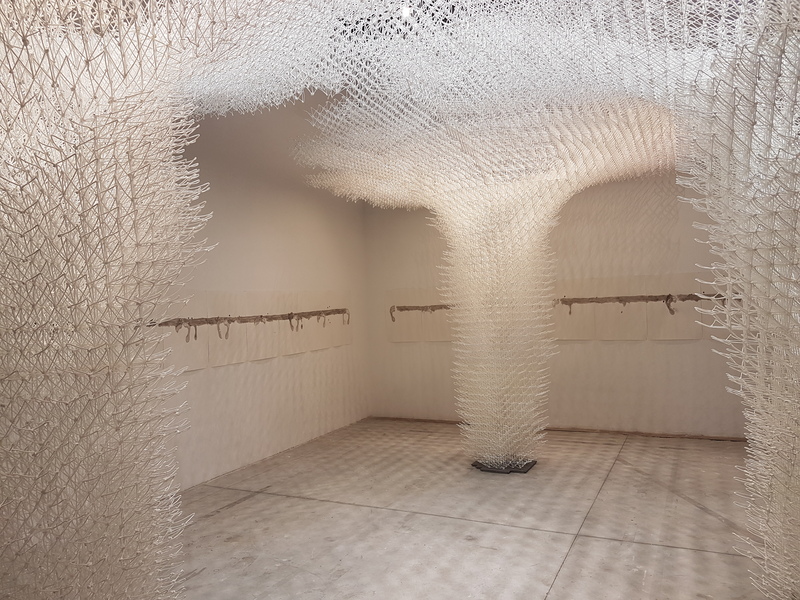 The Croatian pavilion, located in the Arsenale, is called Cloud Pergola – the architecture of hospitality. 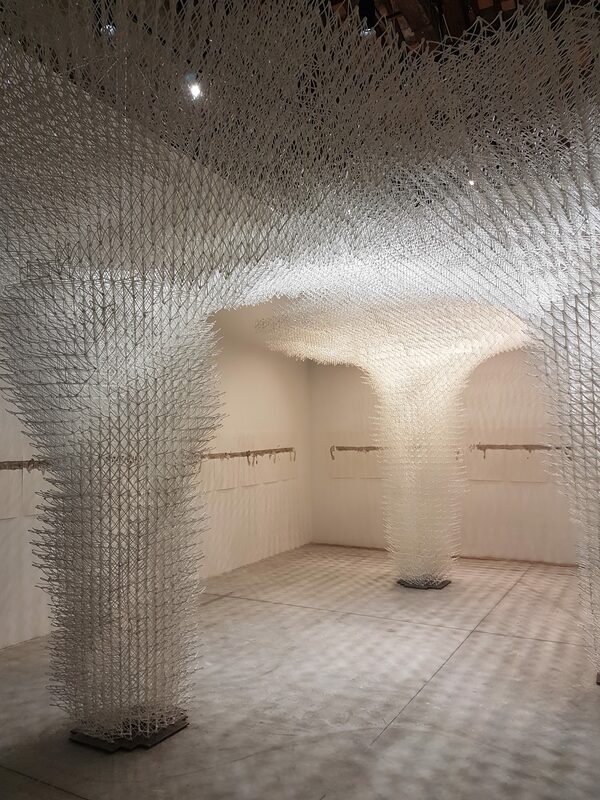 It is a collaborative site-specific installation crossing the boundaries of Architecture through collaborations in Art, Engineering, Robotic Fabrication, and Computational Models. The exhibition is structured through an interplay of three interventions: Cloud Drawing by Alisa Andrašek in collaboration with Bruno Juričić, To Still the Eye by Vlatka Horvat, and Ephemeral Garden by Maja Kuzmanović. Bruno Juričić, the curator, took the exhibition as an opportunity to express that we are at a new moment in architecture, when technology not only affects novel physical objects, but also new extensions and cross-collaborations. In recognising the active participation of nonhuman forces in events and understanding that the agency of space spawns beyond human, it propels the need to create a “space of hospitality” for new complicities, new complex ecologies of human and non-human assemblages, algorithms, data structures. In such “landspace” the role of boundaries, either physical or non-physical, is not any more to enclose space, but rather to form tissue for osmotic exchange. This enriching influence is broadening the range available to architecture of materials, formal values, artistic references and social engagements. As such, provides a new ground for addressing the notion of “design ecology” in the twenty first century. 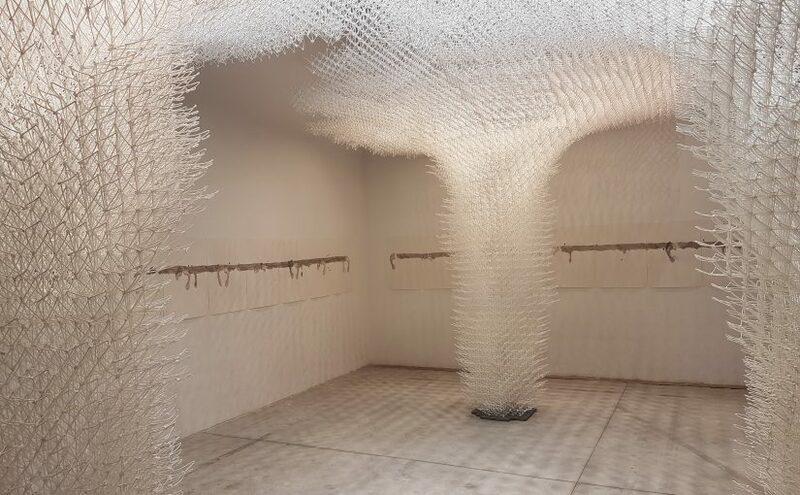 The Cloud Drawing installation by architects Alisa Andrašek and Bruno Juričić uses computational models, robot fabrication and big data, as mediums to create a new kind of spatial structure—an n-dimensional microstructure that brings into dynamic relation natural forces and human intervention. 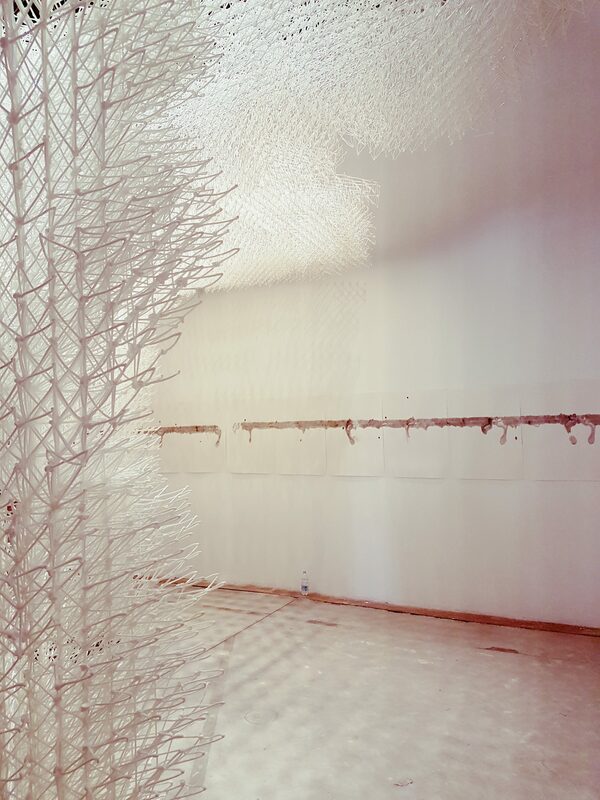 We had a pleasure to talk with Alisa Andrašek, creator of the Cloud Drawing installation. For the past two decades Alisa has been researching how we work with complex systems in the context of built environment, using new resources like big data. 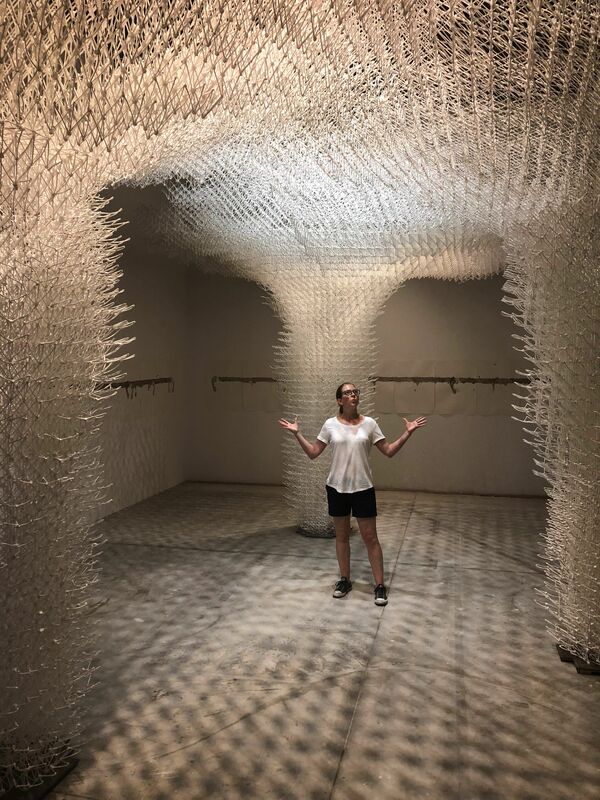 She believes this should change how we construct the environment we live in and has been looking into algorithms, artificial intelligence and robotic construction like carbo fibre structures and as in the case of Croatian pavilion, 3D printing. The following conversation is slightly edited for clarity. 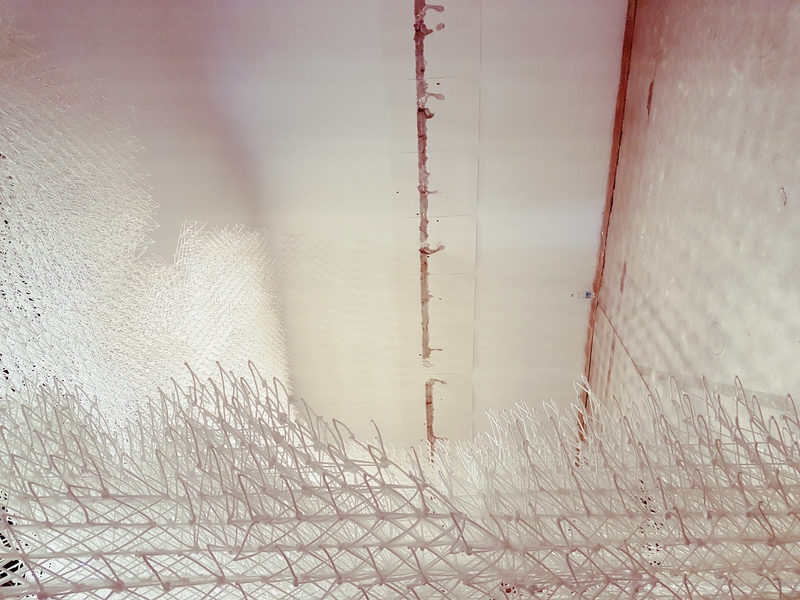 The bio-degradable plastic structure weighs around 280kg, which makes it the lightest structure built at this scale – 3.3m tall, covering an area of ~58m². It is light, yet strong, its three columns swirling in counter directions reinforcing its structure. “In 3D printing, in theory, you can control every speck of dust – where you put matter, what kind of matter. We can design using computational physics, simulating not just compression and tension but also other physics in structures like friction, viscosity. Cloud Drawing by Alisa Andrašek in collaboration with Bruno Juričić , To Still the Eye by Vlatka Horvat, and Ephemeral Garden by Maja Kuzmanović. However, Alisa said she is seeing a response, a gradual implementation of ideas – a progress since her research started. First to respond and understand her goals were artists and scientists. Moving to Melbourne shifted her focus towards the industry to use the knowledge she has gathered and drive the progress through application. The structural realisation of the pavilion was led by Arup, the globally renowned engineering consultancy. Henry Unterreiner and Peter Lenk worked closely with Bruno and Alisa in order to realise their vision. 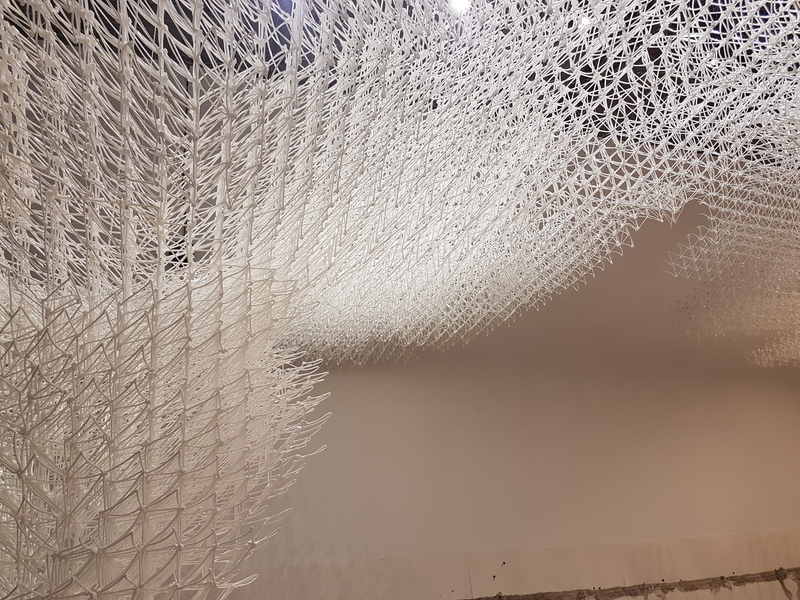 The main responsibility was to engineer the pavilion and guide the design process of it given the tight time constraints for design and 3D printing. 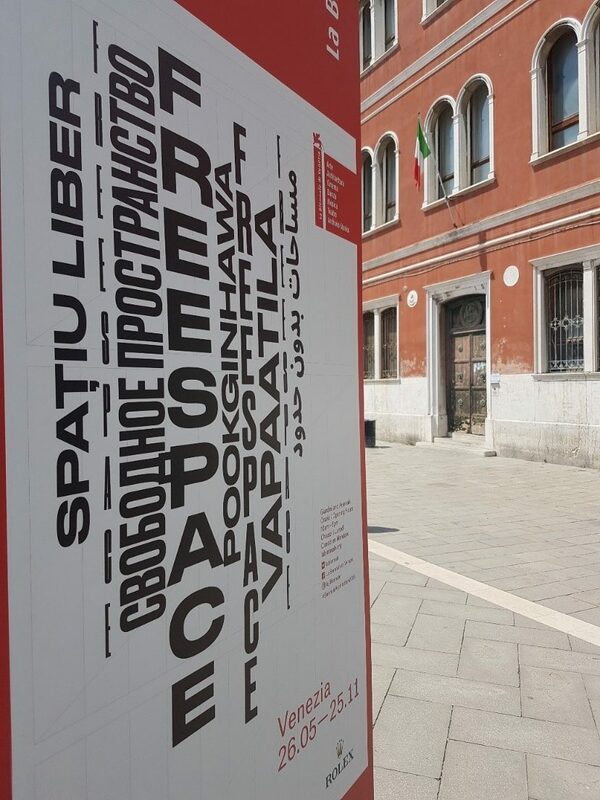 In addition, Arup contributed by organising workshops, gathering all the different parties spread around the world and helped with the assembly of the fragile pieces on site in Venice. Standing underneath the light structure gives a feeling of movement and flow, of a space that is not confined or suffocating. The perforated and swirly structure creates an experience through a game of shades and shape, making the space feel alive.